When building a new modular home, choosing a design that is the right size is essential. However, finding the perfect balance is not easy! While a spacious home is clearly desirable, bigger is not always better. You need to be sure you have enough room for your family, both now and in the future - but it’s also important to build a home that’s a good fit for your block and budget. So how do you find a modular home that’s the right size for you? In this article we’re sharing five tips that will help you choose a design that is not too big or too small, so your new home will have the perfect amount of space for your lifestyle and needs. The right size will largely depend on how many people live in the house, and it’s important to consider any possible changes to your living arrangements too. If you’re planning on starting a family, make sure your home has plenty of space for the kids. Or if you have a family with small children, think about whether you’ll need more space as they grow. If you’re looking to downsize to limit maintenance as you get older, look for something compact. And if you’re planning on using your new home for a holiday rental, pick a design that suits your ideal guests. Understanding who the occupants will be and how they will use the home is the essential first step to building the perfect sized home. Once you’re clear on the occupants, you can work out how many rooms you require. Start with the number of bedrooms, then look at bathrooms and living spaces. Think about what you’ll need in the next 5-10 years too – while that second living room may not be needed now, it could be a real sanity-saver when your little ones grow into teenagers. Maybe you need a home office, guest bedroom, butler’s pantry or theatre room? Don’t forget about your outside space too – if you like to unwind or entertain in the great outdoors, look for a design that includes a decking or alfresco. 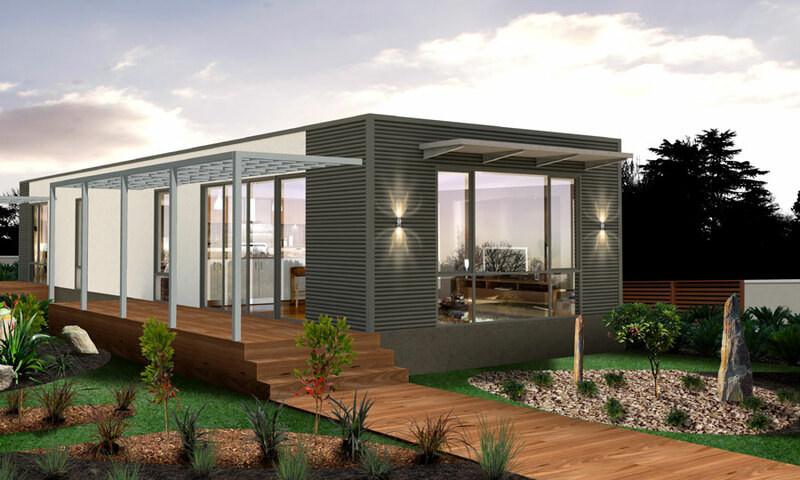 Below is our Frankston project floorplan, which is a great example of customised modular home with adequate space for all members of the family, as well as guest bedrooms and outdoor and indoor entertainment areas. Writing a wish list of rooms is one thing, but your chosen design needs to be affordable too. If you’re struggling to find a home that fits both your needs and your budget, it’s definitely worth speaking with your project consultant. They can use their experience and knowledge to guide you towards a design that ticks all your important boxes without going over budget. Your layout plays a big part in how spacious your home feels. 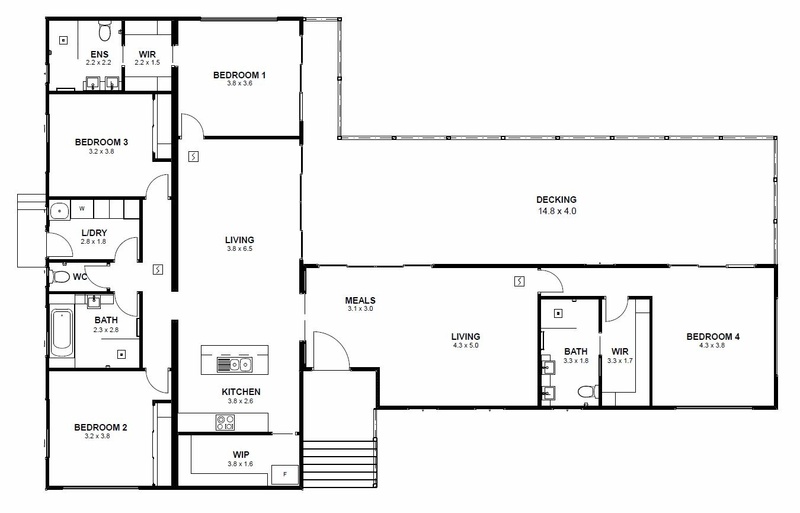 With the right floorplan, a smaller home can look and feel much larger than it really is. 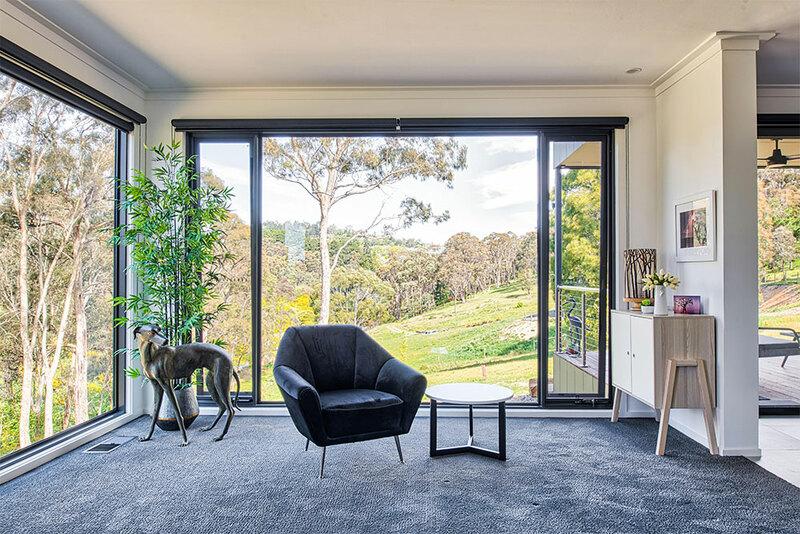 Keep in mind, you can always customise the design to better suit your purpose, just like our clients did in a recently completed project in Daylesford. 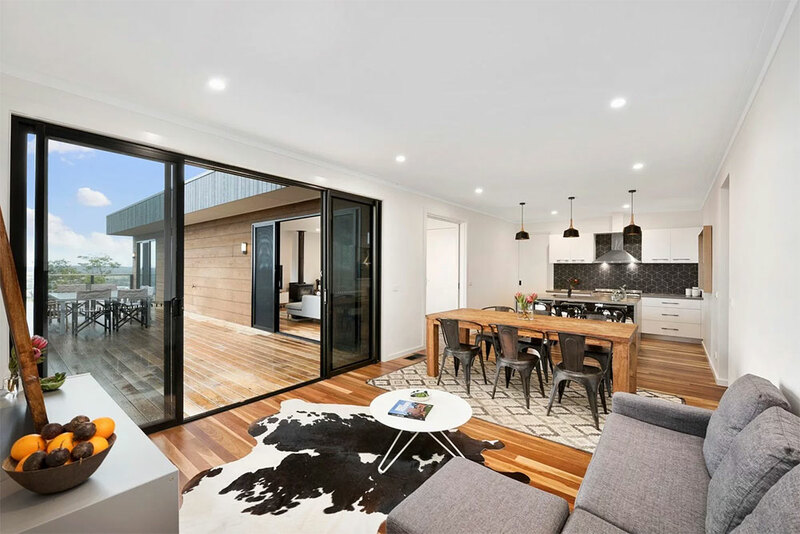 In addition, certain features can add a sense of space without adding extra metres onto the floorplan, such as 9ft ceilings, picture windows, an open-plan layout and smart storage. The size and shape of your block is another key consideration. If it’s small or narrow, you’ll need to pick a design that fits your land, while also leaving adequate space for a backyard. 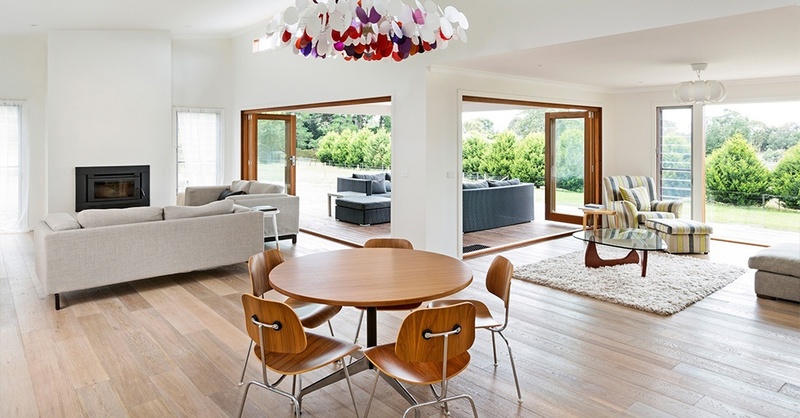 If land space is tight but you need a large home, a two-storey design can be a good option. Getting the sizing of your new home right is one of the most important factors of a successful build. When you move in, your new home should feel large enough that all the occupants can enjoy their own space, without being so big that it becomes difficult to maintain or puts a strain on your budget. When you have a clear picture of who will be living in your home for the next 5-10 years and understand their needs, you can work with your builder to plan the size of your new home with confidence. The result will be a home that you and your family can live comfortably in for many years to come. 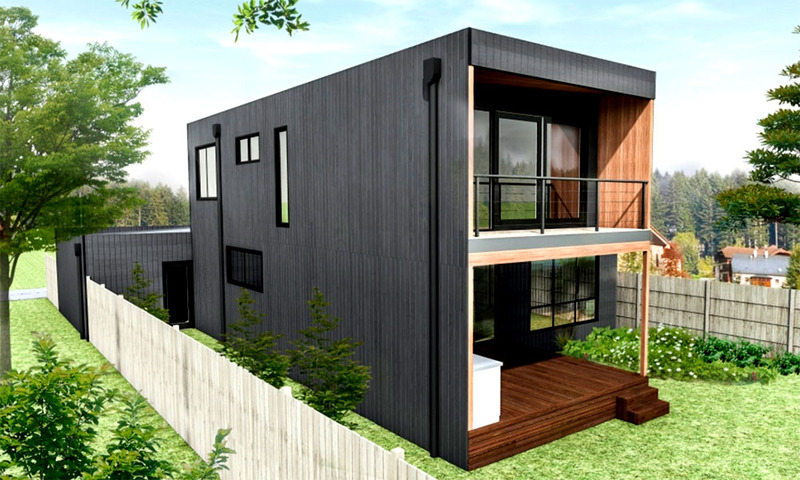 Do you have a suggestion for building the right-sized modular home? Or do you have a specific question regarding your own project? We’d love to hear from you – simply post a comment below or get in touch with our team.